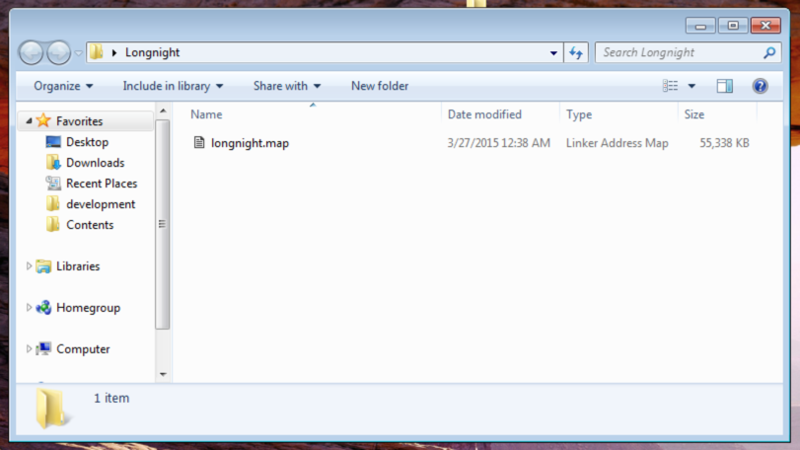 For simplicity, create a new directory for your current work and place your map file inside of it. Open my patch editor and select File, then New Patch. 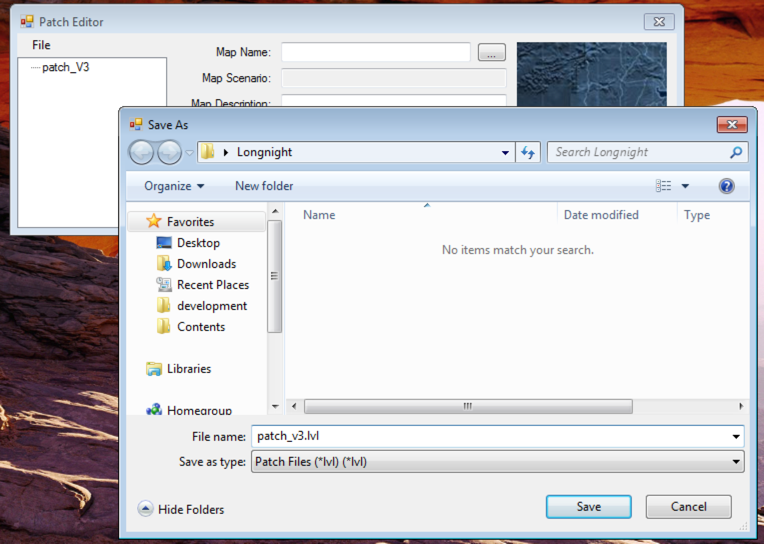 Name your new patch "patch_v3.lvl”, and save it in the directory with your map. 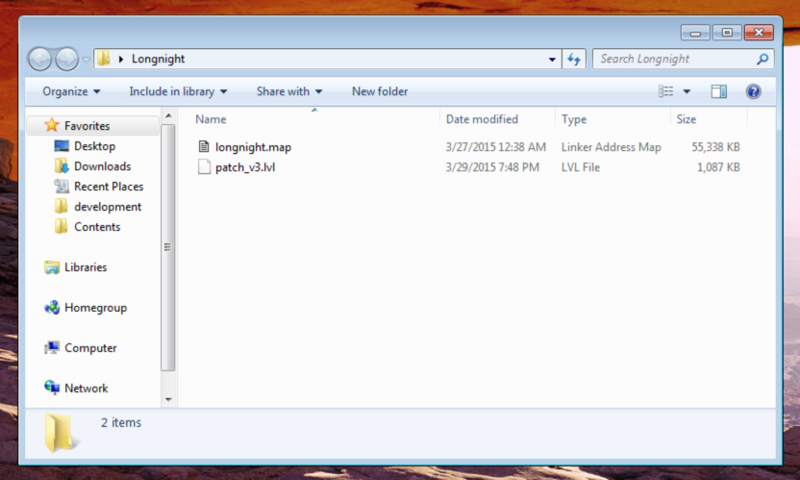 You should now have an empty patch_v3.lvl file with your map. Select the new map slot in the treeview, then click the “…” button. 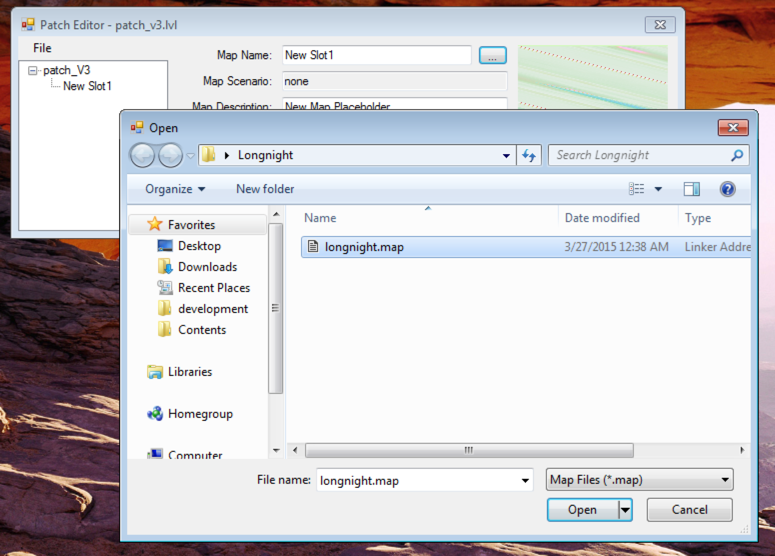 Select your map with the open file dialog that opens. Correct any information on the map slot that you’d like. Name and Description is what will be show on the map picker menu. Also, choose a map slot; this is just like modding them into the main menu. Then click “Save & Sign”. You can repeat steps 4 - 6 to add more maps to your patch_v3. You now have a signed patch_v3. 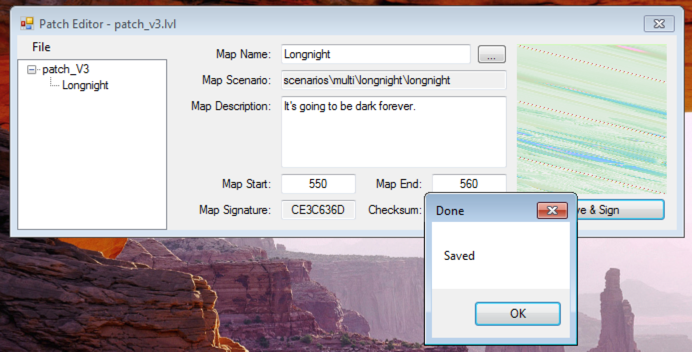 You must reapply the map data if you modify the map so that the patch has the correct signature for the map. I couldn't find the source code for Entity UE, and was unable to add in the features remove slot and new patch because of this. I decompiled Entity UE so that I could make this standalone patch editor with these features. To whoever created Entity UE's patch editor, I hope you forgive me for decompiling your work without your permission, if I knew how to contact you I would have. More Halo 2 stuff to come!